Millennials might be known to their elders for texts and tattoos, but they’re also a pretty giving bunch. It’s the holiday season. Offices and schools have held donation drives for low-income families. Globe Santa has delivered presents to children in need. Last week, a friend asked me: Does our generation give to charity? 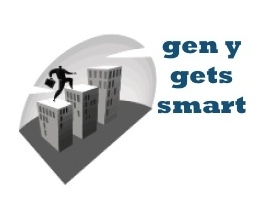 Have hard times made Gen Y stingy? Millennials’ altruism extends into their career choices. As Smith and Aaker point out, the National Society of High School Scholars (NSHSS) has surveyed a significant number of millennials aiming to work in health care and government sectors. James Lewis, NSHSS CEO, has told Forbes Magazine that millennials “have a passion for helping other people” and solving the country’s problems. Food for thought as we head into 2015!